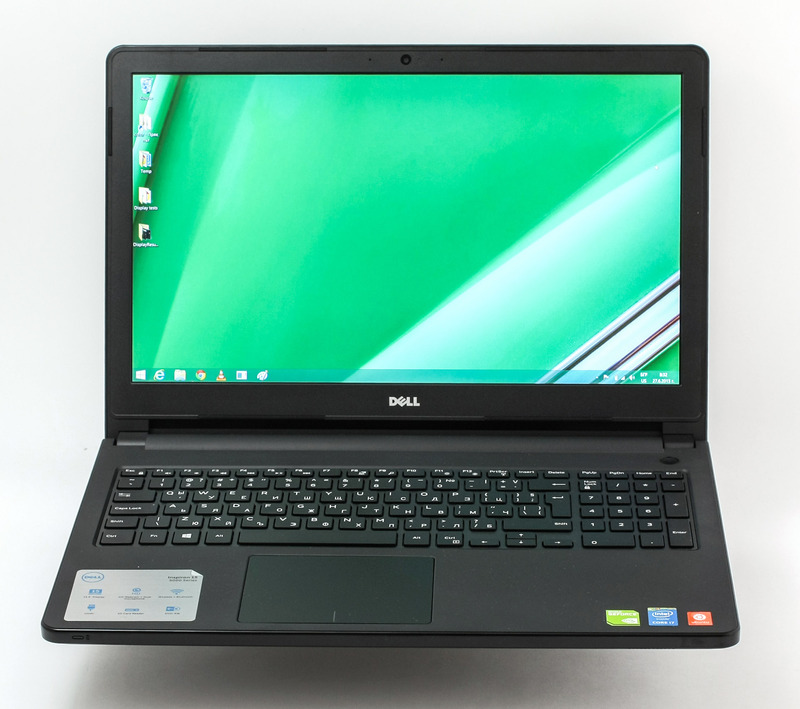 Dell Inspiron 5558 (15 5000) is a mid-range multimedia notebook targeted at the consumer market. It can be considered a successor to the Inspiron 5548, as it features similar design and is from the same series. The notebook comes in various configurations, including a choice of CPU alternatives including Intel’s 5-th generation Core i3 / i5 / i7, up to 16GB RAM. You can also select integrated Intel HD Graphics or a discrete NVIDIA GeForce 920M GPU. The 15.6-inch screen has options for resolutions of 1366 x 768 or 1920 x 1080, touch or non-touch panel. Inspiron 5558 also comes with several lid color choices, including glossy black, glossy white, matte metallic gray, or matte silver. The price of the device currently starts at around €400 for Intel Core i3-4005U, 4GB RAM, and 500GB HDD, and can go up to €900 – €1000 for the top configurations, which come with an Intel Core i7-5500U CPU, 16GB RAM, NVIDIA GeForce 920M 4GB, and 2TB HDD (or 120/250GB SSD + 2TB HDD). Inside the box we have the usual stuff – along with the laptop itself there’s the AC charger and a few manuals. Overall, Dell Inspiron 5558 (15 5000) has nice, clean looks, it features an all-plastic build, which is pretty standard for a mid-range consumer device. It is similar to last year’s Inspiron 5548 with some slight changes, most notably around the sides, but it still follows Dell’s signature design. The lid of the device is made out of glossy black plastic (with a white glossy version also available), which is a huge fingerprint magnet, but for people that don’t like glossy plastic, there are configurations of the Inspiron 5558 with gray or silver matte plastic lids. In the center we have the usual Dell logo that is also glossy. On the other side of the lid we have the 15.6” Full HD display, a webcam, and dual microphones. Moving to the bottom of the device, which is also made out of plastic. 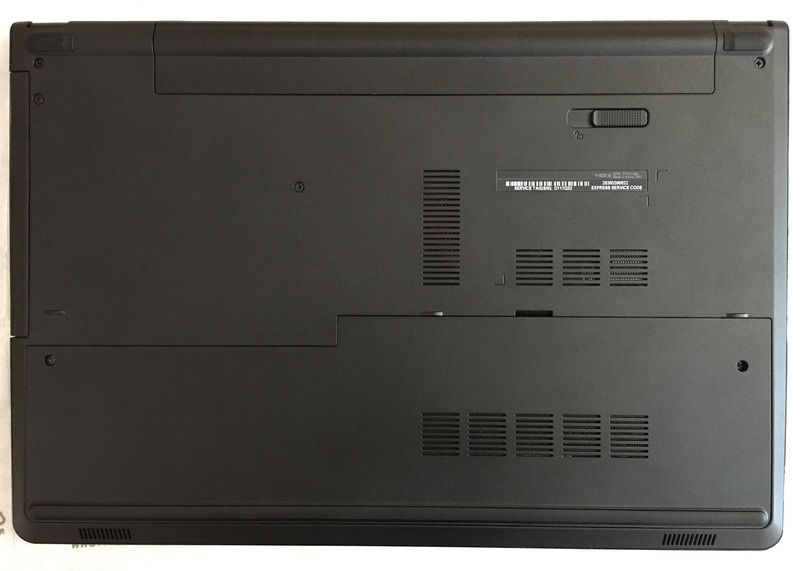 There you can find an easily detachable service cover, which gives us access to the 2.5” HDD, two RAM slots, WiFi module, and the BIOS/UEFI battery. 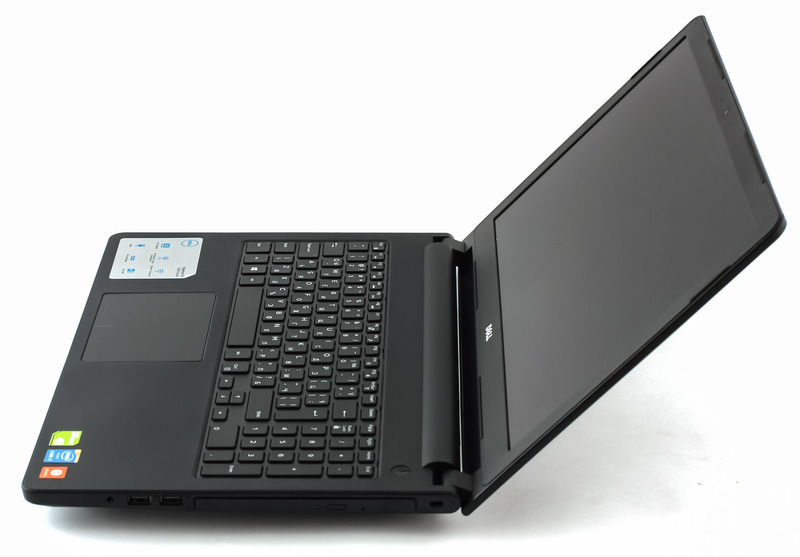 The sides of the device have changed a bit from the previous generation of the 15 5000 series, but they are still in line with Dell’s design. On the left we have an SD card reader, USB 3.0 port, HDMI, the main heat dispersing grill, Ethernet port, and the DC charger port. The right side features a 3.5 mm combo audio jack, 2 USB 2.0 ports, the optical drive and a Kensington lock. The front only has a battery status LED. Opening the lid reveals rough hard plastic around the keyboard and on the palm rest. The device has a full keyboard (numpad included) and evenly spaced keys, but the Enter button is oddly small. The overall performance of the keyboard is quite decent. The trackpad is made of matte plastic and is large and comfortable. Unfortunately, it does not always properly register the left and especially right clicks which can be somewhat annoying. Dell Inspiron 5558 (15 5000) has a Full HD IPS panel, model number 2M4XM-156WF6. The display’s diagonal is 15.6 inches (39.62 cm), with a resolution of 1920 x 1080 (16:9). The pixel density is 141 PPI (pixels per inch), with pixel pitch of 0.18 x 0.18 mm. The screen can be considered “Retina” when viewed from a distance equal to, or greater than 61 cm. 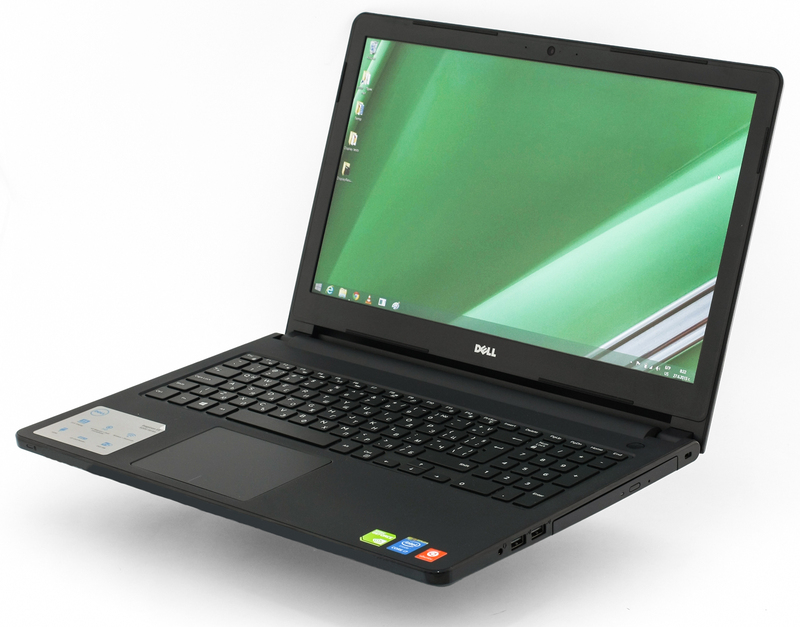 Dell Inspiron 5558 (15 5000) has comfortable viewing angles. You can see what the screen looks like at 45° angles below. The maximum brightness before profiling is 207 cd/m2, with a maximum deviation of just 8%. We consider this brightness optimal as it is enough for work in a very bright room (but not enough for using it outdoors). It is also not too high, so you will not have to lower it under typical work conditions. This is good, because the backlight does not flicker only when the brightness is set to maximum (see below). The average color temperature we measured on a white screen with maximum brightness is 6630K – slightly cooler than the optimal 6500K (daylight). There is no unacceptable deviation of the temperature on the surface. The yellow triangle indicates the color gamut coverage of Dell Inspiron 5558 (15 5000). The display covers 62% of sRGB and 46% of Adobe RGB color spaces, which is not enough for an image with fully saturated colors. The figure below shows the same thing, but it now includes measurements from the screen before calibration. The colored circles show the reference colors (the target) the screen is supposed to show. The white ones are the actual reproduced colors (the hits). The primary and secondary colors are shown with 100% and 50% saturation inside the sRGB color space. The reds and blues are displayed with significant error due to the low coverage (see the white arrow). For calibration purposes we use X-Rite i1Display Pro. We tested the colors before and after saving the profile in Windows. Due to the low sRGB coverage the 100% saturated red and purple colors are replaced with the closest possible, so the calibrator is not able to do much there. Their absence will lead to dull images. After profiling, the display has relatively good white level distribution. We tested the display with 24 color samples, including commonly used colors, and ones the eye easily recognizes – dark and light human skin, blue sky, green grass, orange, and others. Most are in the middle of the color space, and after calibration their accuracy is very high – DeltaE 76 = 0.87. 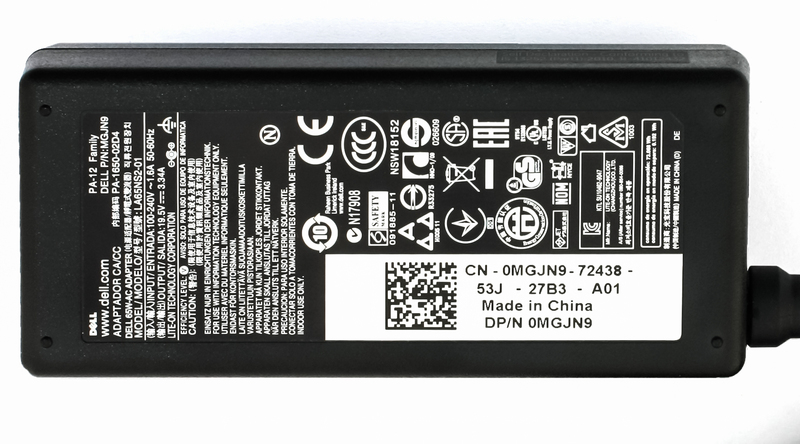 The display of Inspiron 5558 emits PWM light on all brightness levels, except the maximum. The good thing is that the frequency is very high – 21 kHz. At 100% brightness there is no screen flickering and the screen can be considered eyesight-friendly. The graph below is useful mainly for gamers, it shows the response time of the pixels in modes from “Black” to “White” and “White” to “Black” for levels from 10% to 90% and back. We measured Fall Time + Rise Time = 22 ms. 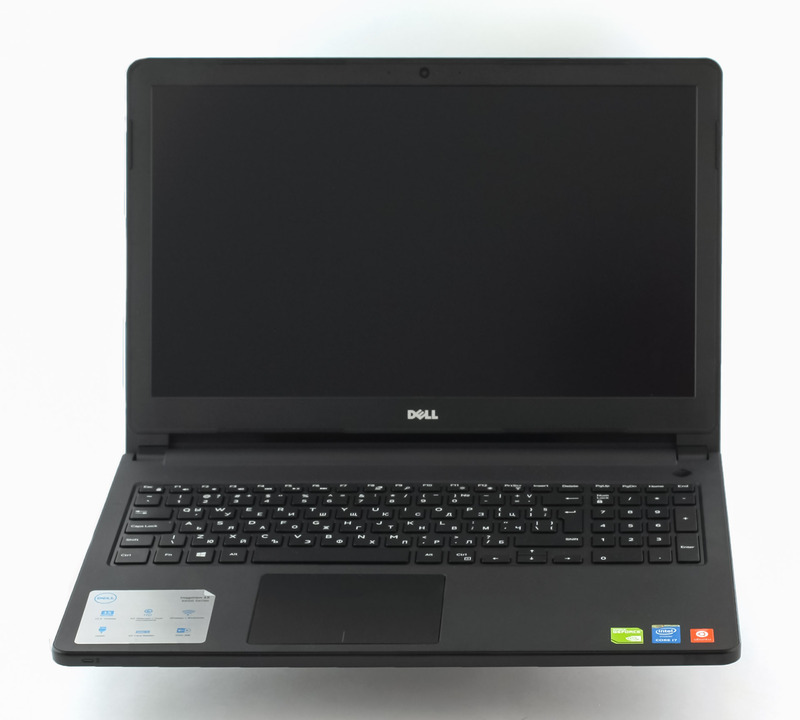 The screen of Dell Inspiron 5558 (15 5000) has sufficient brightness (if you don’t use it outside), high contrast and comfortable viewing angles. After calibration almost all colors from Color Checker are very accurate, which is important for watching videos. Unfortunately, a big part of the sRGB colors are missing, so this makes the notebook unsuitable for work with colors like web-design or image processing. The overall sound is good, but clarity is missing on some frequencies. The technical specifications listed below are for the model we’ve tested and may vary depending on your region. 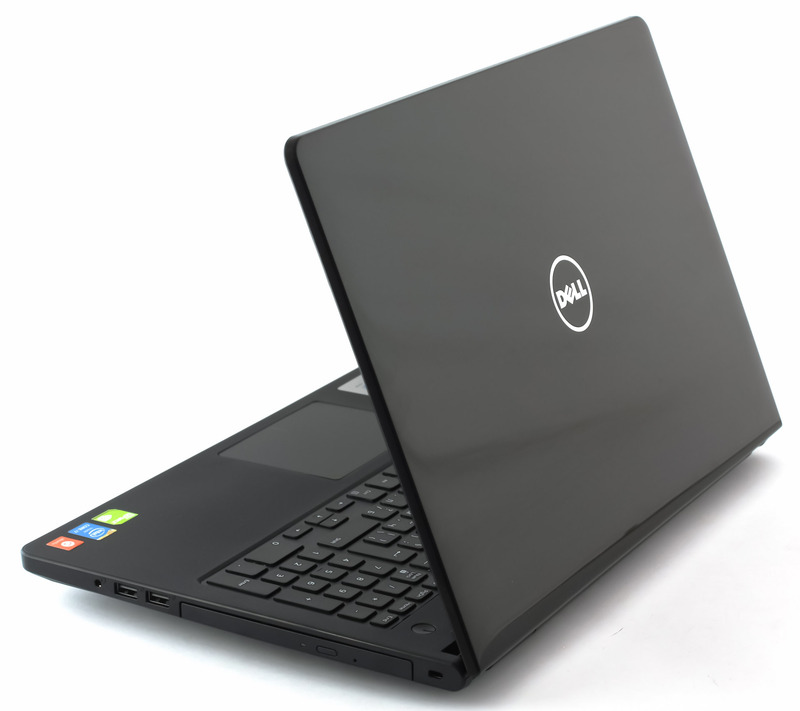 Dell Inspiron 5558 (15 5000) offers decent battery life for its price range. It comes equipped with a relatively small 4-cell, 40 Wh battery. The IPS Full HD screen might eat up more of the battery than the usual TN HD screens, but the energy-efficient internals make up for it and overall, we got average results for a mid-range multimedia notebook. In order to simulate real-life conditions we used our own script for automatic web browsing, which goes through over 70 websites. The result we got is about average – 266 minutes (4 hours 26 minutes). For every test of this sort we use the same video in HD. The result here is pretty similar – 280 minutes (4 hours 40 minutes). Here we got a result of 76 minutes (1 hour and 16 minutes). The chip is equipped with 128KB of first level cache, 512KB of second level cache, and 4MB of third level cache. The Core i7-5500U has been developed using a 14nm process, allowing for the integration of the Intel HD Graphics 5500 controller. It operates at a base frequency of 300MHz, while Turbo Boost can increase that to 950MHz. TDP consumption of the whole SoC (System on a Chip) is 15 watts, with a maximum operating temperature of 105C. Here you can see an approximate comparison between the CPUs that can be found in the Dell Inspiron 15 5558 models on the market. 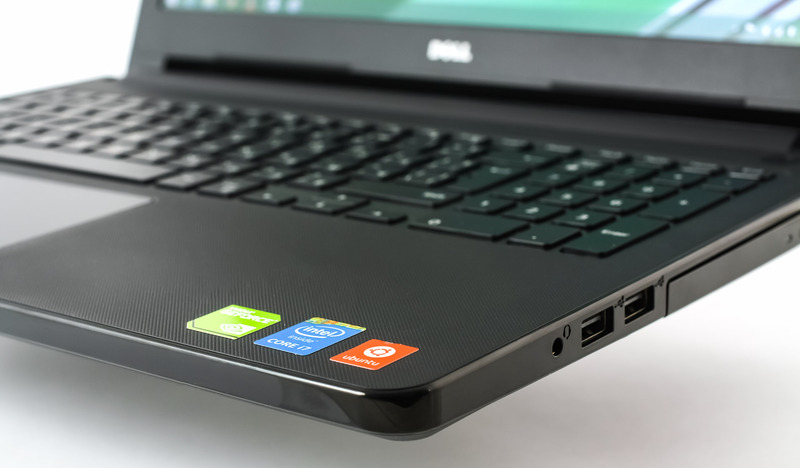 This way you can decide for yourself which Dell Inspiron 15 5558 model is the best bang for your buck. Fritz is a chess benchmark which tests the computing capabilities of the CPU with various chess moves. The Intel Core i7-5500U managed to get 5.732 million moves per second. By comparison, one of the most powerful PCs, Deep(er) Blue, was able to squeeze out 200 million moves per second. In 1997 Deep(er) Blue even beat the famous Garry Kasparov with 3.5 to 2.5. The NVIDIA GeForce 920M is a low-range GPU that’s included in budget notebooks or multimedia-oriented ones. It was released in March of 2015, and it is based on last year’s GeForce 825M with a GK208 GPU. We expect the GPU to be marginally faster than its predecessor, since Maxwell generation GPUs mostly improve power consumption and don’t emphasize performance as much. However, the TDP is rated at 33W. Furthermore, GeForce 920M offers 4GB of DDR3 memory, 8 ROPs, 16 texture mapping units and 384 shaders. The graphics processor runs at 575MHz with the Boost clock being 954MHz, which should be enough to run most new games at lower settings or use other graphics software that isn’t that demanding. Memory speed is 1800MHz, with a 64 bit bus. Notable features include DirectX 12, NVIDIA Optimus support, OpenGL 4.5 and CUDA cores. Here you can see an approximate comparison between the GPUs that can be found in the Dell Inspiron 15 5558 models on the market. 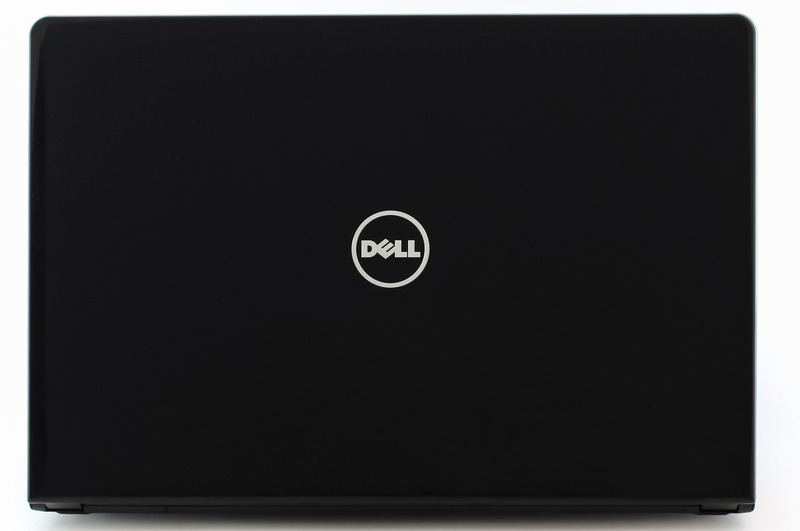 This way you can decide for yourself which Dell Inspiron 15 5558 model is the best bang for your buck. Before we begin with this section we would like to note that the following tests do not represent real-life benchmarking. It is extremely difficult to reach 100% CPU and GPU load under normal usage for such an extended period of time as in our stress tests, but we run them to see how the machine handles higher temperatures and check the overall stability of the system in the long run. First we put the CPU under 100% load for an hour. Under normal usage the CPU maintained a temperature of 44°C, and during our stress test it reached 56 – 59°C, which is a really great result and really far from the maximum operating temperature of 100°C. There was no throttling of the CPU during the entire test. You can see the results on the graph below – the blue is the CPU load and the orange is the temperature. After the first hour, alongside the CPU we add a GPU stress test and leave them both running for another hour. The temperature of the CPU rose to 80-84°C in a few minutes and remained around that level for the remainder of the test, while the GPU temperature was around 80-82°C during the test. Again, there was no CPU throttling. After the stress tests we measure the temperature on the surface of the machine. The Inspiron 5558 remained quite cool on the outside through the entire test and we did not feel any heat. The fans ran a bit loud, but not loud enough to be too disturbing. Overall, the cooling system of Dell Inspiron 5558 passed our stress test with an impressive result. The display of the notebook features an IPS panel, which is great, at first glance. Unfortunately, it does not offer the typical strengths of this type of panel, as it has a pretty low color gamut coverage and it won’t be suitable for work with colors like web design or photo editing. It also has PWM for all brightness levels except 100%, but the maximum brightness is enough for comfortable use in a well-lit room, so you shouldn’t need to lower it under normal working conditions. The keyboard is good for a mid-range device; the keys are evenly spaced and comfortable to type on, and the trackpad is spacy and comfortable. The battery life is decent for the seemingly power-hungry Full HD IPS panel and discrete GPU, but good power management squeezes out about 4 and a half hours of web browsing or movie watching. Overall, this is a very good device with great specs for its price. Is it best for nursing students?? I just want to say. I really want to ” Thanks alot” & by the way that is good review.